Tris chooses her new life, Katniss is forced into her choice to save her sister: I like that Tris makes the ultimate decision as to which faction she wants to join (although it was never really in doubt). She knows she’ll never really fit in to Abnegation and her real home is Dauntless, and it shows Tris knows her own mind. Katniss chooses her future with no thought of the what might happen, it’s a spur of the moment thing to save her sister Primrose. Whilst I applaud Katniss’s bravery I think she doesn’t always have an idea of the consequences of her choices. Tris learns new skills, Katniss could already use her bow and arrow. Until she joined Dauntless, Tris has led a very sheltered life (she’s hardly even allowed to look in the mirror). When she joins Dauntless, Tris learns new skills like bare-knuckle fighting and even using a gun that will become more important as her story progresses. Katniss already knows how to handle her bow and arrow, but take that away and can Katniss defend herself? Tris knows she’s attracted to Four, Katniss doesn’t know what she wants and gets caught up in a love triangle. It’s obvious from the first time Tris meets Four that something will happen between them and as Tris’s story develops the viewer sees how important Four becomes to Tris as she adapts to her new world and the challenges she faces. Katniss sort of likes Peeta but she also sort of likes Gale. Make a decision Katniss, you do NOT want to be compared to Bella Swan! Once Tris discovers what’s really happening in her world, she fights to stop the deaths of hundreds and thousands of people, whereas Katniss only fights to stop her own death (or Peeta’s). Tris is more selfless than Katniss. 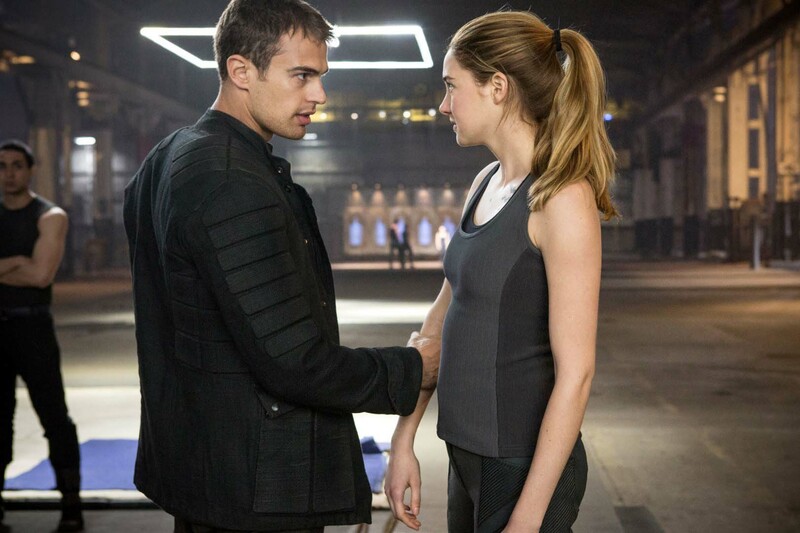 For example, as she tries to pull Four out of the attack simulation, Tris points the gun at her own head. As Tris fights to stop the Erudite attack simulation, she saves hundreds of lives, but if she succeeds her world will change and probably not for the better, whereas if Katniss survives the Hunger Games she’ll be rewarded with a nice new home and lots more food. Tris never reveals what she’s capable of doing, because she’s scared of the consequences of revealing she’s Divergent. When Katniss feels the Games Makers aren’t paying her enough attention she shoots her arrow through their roast pig. So thse are my reasons for preferring Tris to Katniss – let me know if you agree or disagree! 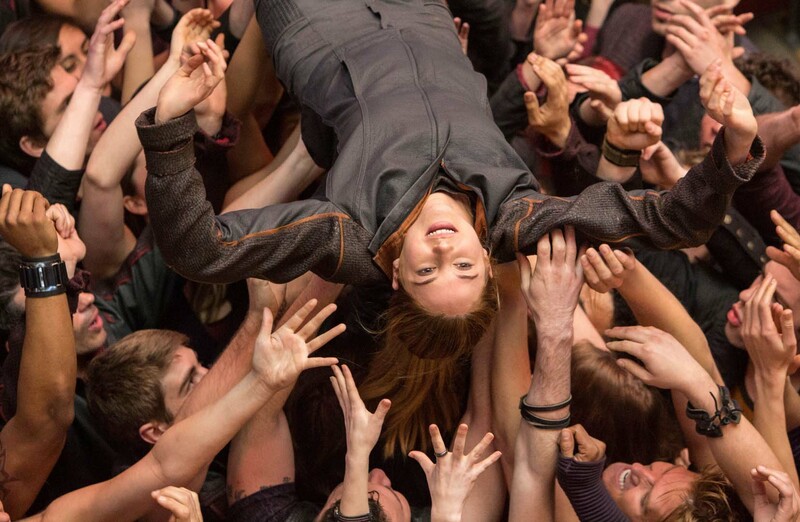 Divergent is in UK cinemas on 4 April 2014. 5 Comments for "Why I prefer Tris Prior to Katniss Everdeen"
You lost me when you decided to bash Twilight. It’s really getting old. I agree with you, Tris is a badass who makes her own decisions whereas Katniss sort of gets thrown into situations and pretty much does what she’s told. Both are great books, though. Hi. I just want to say that I totally agree with everything that you said and all the other things you hadn’t said. I’ve read both books. I think Hunger Games has a much more smooth storyline than Divergent ( I was kind of disappointed about how the story went. HG showed a more planned, specific, detailed history and ending, whereas Allegiant.. well you know how the story ended.) But among the characters, Tris is way better than Katniss. Katniss is just overrated right now because Jennifer Lawrence played that character. And I think in the movie, they gave Katniss some new image. So yeah. Anyway, cheers to you. hi! I agree with everything as well!!!!! I have read the Hunger Games series a couple of times and I just get bored of Katniss and her not being able to make decisions. She just irritates me. Katniss does not often think about who she effects and makes decisions based on what suits her, she tries to be brave and selfless but just gets people hurt. Whereas Tris is so kind and loyal to everyone, unlike Katniss Tris forgives her loved ones countless of times. Katniss can not forgive her mum for grieving and being depressed about the death of her father. I have to disagree with Lei Antoneth when they sad that HG had a smoother storyline, in my opinion I think that the intro was too long (It took up most of each book) and the actual time in the arena was rushed, weeks were skipped. I do have a MILLION different things I have to say against Katniss and positive things to add about Tris but I am about to loose WiFi so I will end it here!! !